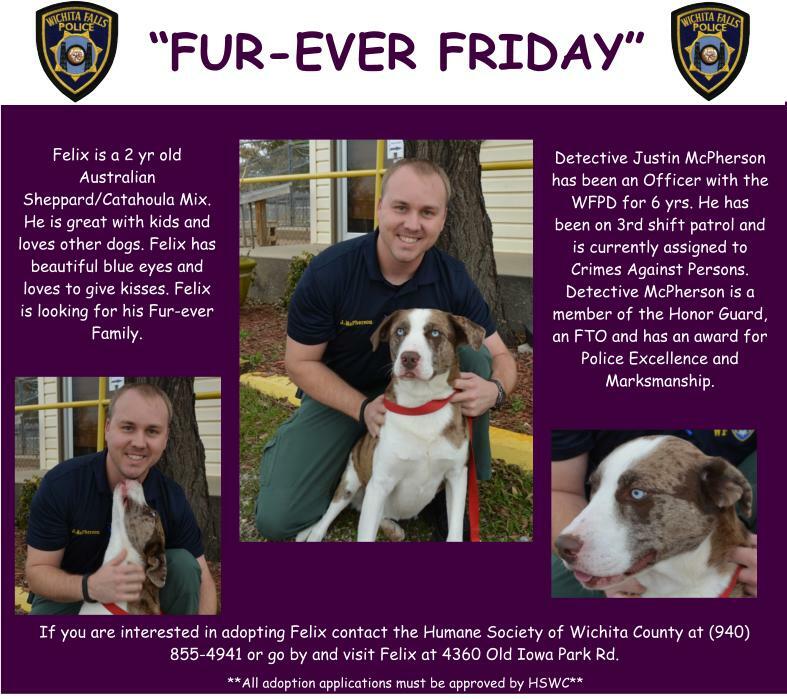 “Fur-ever Friday” Week 16 – Felix & Detective Justin McPherson. Felix is a 2 year old Australian Sheppard/Catahoula Mix. He is great with kids and loves other dogs. Felix has beautiful blue eyes and loves to give kisses. Felix is currently at the Humane Society of Wichita County and looking for his furever home. Please consider adopting Felix and giving him a loving home and a family of his own for Christmas this year. Call HSWC at (940)855-4941 or go visit Felix at 4360 Old Iowa Park Rd.